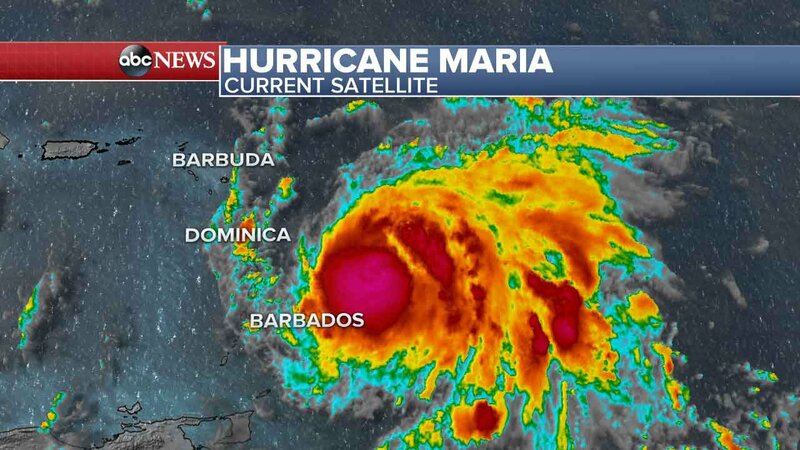 Hurricane Maria was upgraded from a tropical storm Sunday afternoon as it takes aim at Caribbean islands devastated less than two weeks ago by Hurricane Irma. 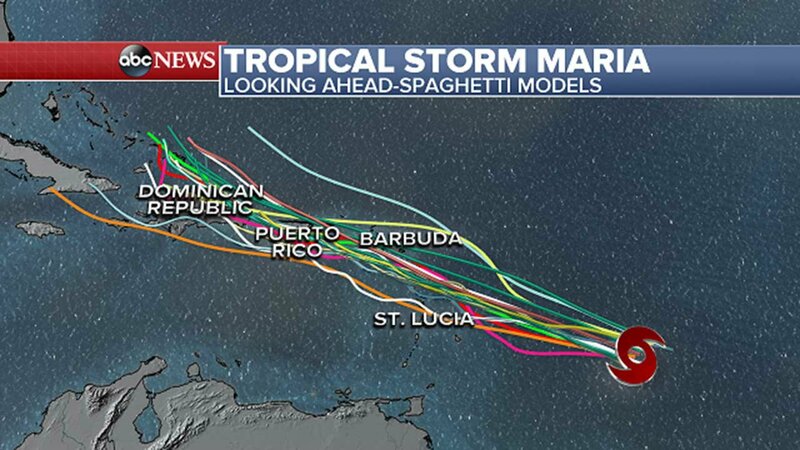 "Maria has strengthened to a hurricane and could be near major hurricane intensity which it affects portions of the Leeward Islands over the next few days, bringing dangerous wind, storm surge and rainfall hazards," the hurricane center said. 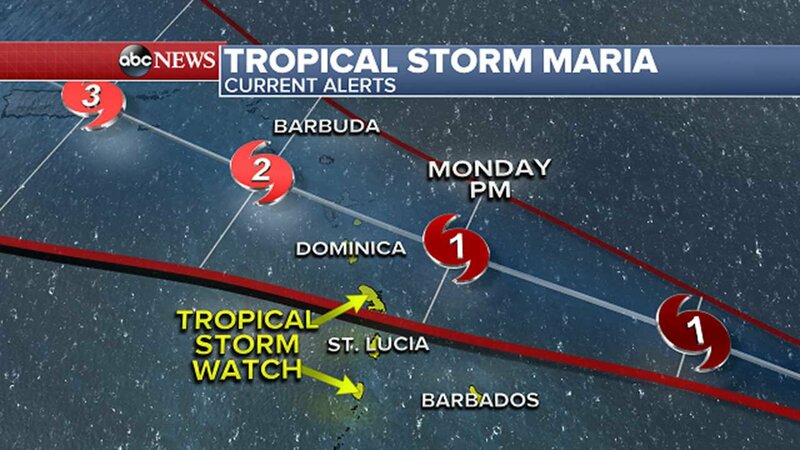 A hurricane watch is in effect for the US Virgin Islands, the British Virgin Islands, St. Maarten/St. Martin, St. Barthelemy and Anguilla -- many of which were devastated when Irma blew through the Caribbean, killing 44 people. A hurricane watch is typically issued 48 hours before the anticipated first occurrence of tropical-storm-force winds. 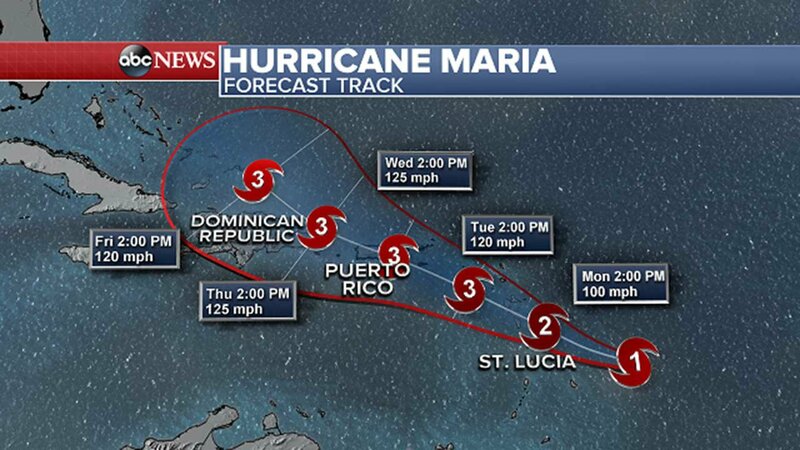 "Maria is likely to affect the British and US Virgin Islands and Puerto Rico by mid week as a dangerous major hurricane," the NHC said. Torrential rainfall could cause deadly flash flooding and mudslides. 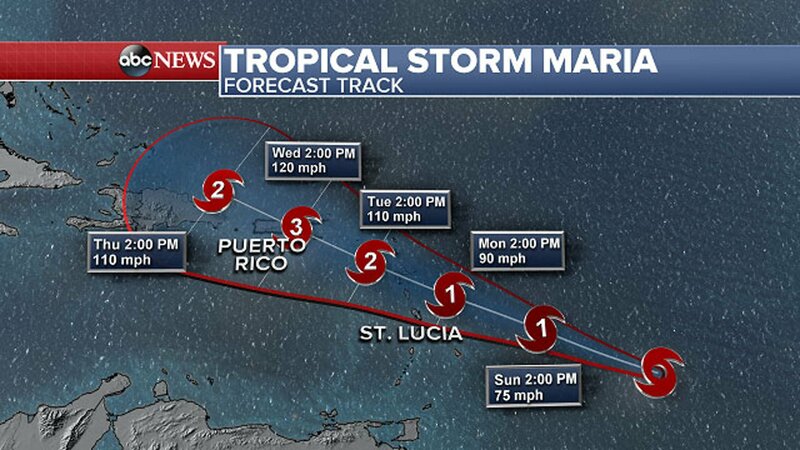 Maria could dump 6 to 12 inches of rain across the Leeward Islands -- including Puerto Rico, the US Virgin Islands and the British Virgin Islands -- through Wednesday night. 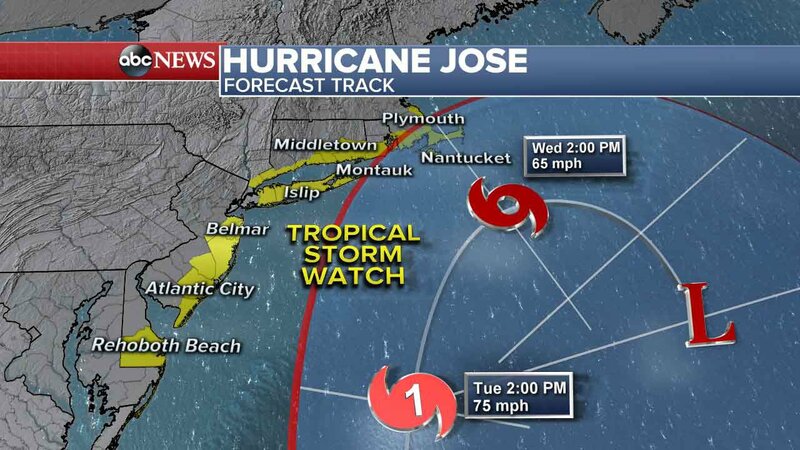 Meanwhile, Hurricane Jose intensified as it churned north on Sunday, threatening "dangerous surf and rip currents" along the US East Coast in the next few days, the hurricane center said. 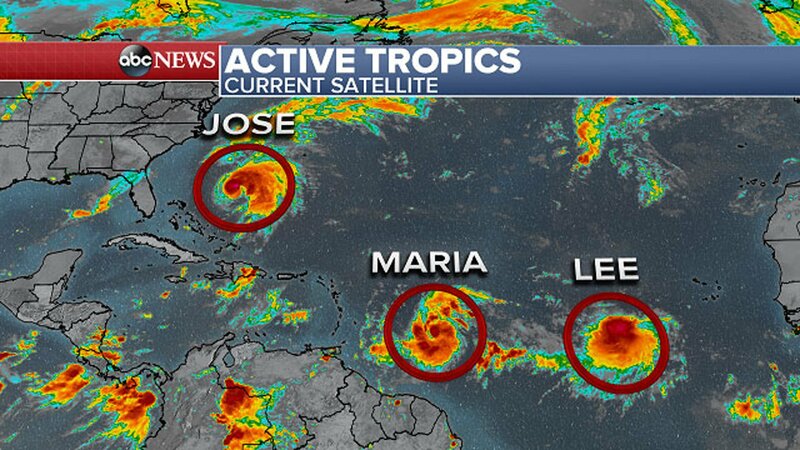 While the center of Jose is expected to stay off from the US East Coast, "swells generated by Jose are affecting Bermuda, the Bahamas, and much of the US east coast," the NHC said. "These swells are likely to cause dangerous surf and rip current conditions for the next several days in these areas." Lee's maximum sustained winds sputtered to 35 mph, and are expected to further weaken in the coming days.